This assessor course is delivered completely online. So, regardless of where you are based in the world you can complete this course with Brooks and Kirk. 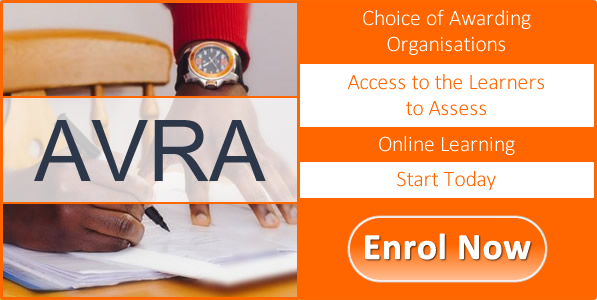 You are required to assess two learners as part of this course, but as you are only required to carry out knowledge-based assessments, we can provide you with access to the learners to assess online. The duration of this course is entirely down to you and you can get started as soon as you like. That’s the joy with having no start or end dates! One of our learners once described the Brooks and Kirk tutors as ‘Supportive, Encouraging and Enthusiastic’. We like to think if you were to pick 3 words to sum our team up, those 3 words would be at the forefront. Even though there is no face-to-face interaction as part of this course, your dedicated assessors are only ever a phone call or email away. On top of the support that is provided by our tutors, we also have a range of learning resources that is accessible via our Virtual Learning Environment 24 hours a day, 7 days a week, 365 days a year. If you would like to find out more about what our learners say about our course and their supportive tutors, please have a look at our Learners Reviews page. Regardless of the industry you work in or even your employment status, you can enrol onto this course. For learners that just want to get the course fee cleared in one payment, you would save £50! Our extremely flexible instalment plans involve you setting up a direct debit that suits you. You can choose how frequently you want to make payments as well as the amount of those payments.